There are no excuses for a dull garden. Thankfully for those with a green thumb or in need of some professional help, there are plenty of places to find gardening supplies, native Nebraskan plants, and helpful advice and gardening services across the state. 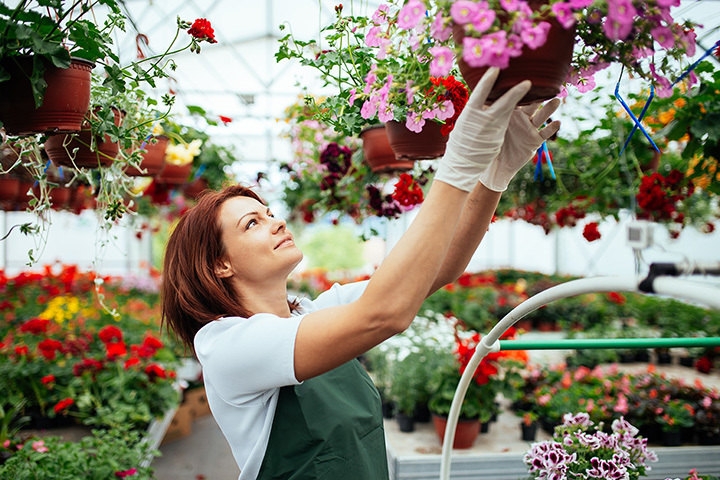 Here are 10 of the best garden centers and nurseries in Nebraska to check out! Campbell’s Garden Center in Lincoln is a one-stop-shop for all your gardening and landscaping needs. Since it opened its doors in 1912, the garden center has grown its offerings tenfold and now provides the best plants, chemicals, and gardening accessories you can find for your garden. The Indian Creek Nursery has been in operation in Omaha for over 50 years. With a greenhouse featuring a wide variety of plants and a top-grade nursery, Indian Creek Nursery prides itself on offering only the healthiest stock. Stop in for any of your plant needs, both indoor and outdoor, or just to be inspired! For trees grown in Nebraska and for Nebraskan homes, look no further than the Great Plains Nursery in Weston. All seeds are locally sourced ensuring that their trees are ideal for Nebraska’s weather and conditions. Mulhall’s Nursery in Omaha is one of the top full-service garden centers in the state. Located on 30 acres, they offer award-winning landscape design services as well as an ever-expanding variety of top planting materials. By growing most of the plants they sell, Mulhall’s assures customers they are offering only long-lasting, beautiful plants for their homes. Canoyer Garden Center is a state-of-the-art garden center in Papillion that carries a variety of annuals, perennials, tropical plants, and trees in a convenient shopping experience. The garden center is open all year round and also features a gift shop for nature lovers. From tree planting to landscape design, Yano’s Nursery offers a variety of plant-related services to spruce up your home or garden. From river rocks and mulch to perennials and trees, Yano’s public nursery will help you get loaded up and ready to enjoy your beautiful outdoor space. Heritage Nursery opened its doors in 1988 and has since grown into one of the top wholesale nurseries in the region. Carrying trees, shrubs, perennials, and landscaping materials, this nursery has everything your garden needs and more. Visit the Finke Gardens & Nursery in Lincoln for an amazing selection of perennials and annual flowers. In the Springtime, the garden center also offers homegrown vegetables and seeds for you to take home. With a wide selection of plants, statuary, fountains, and more, you’ll find everything you need to create your own outdoor sanctuary.